The Crystal Mill was built in 1892. The roof was recently restored to mainain the structural integrity of this old building. 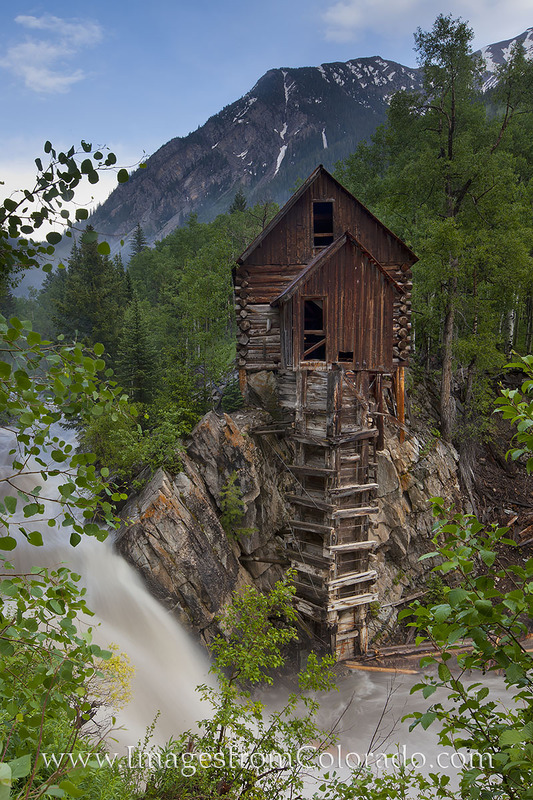 The mill, also known as the Dead Horse Mill, sits on the edge of the Crystal Mill. To reach this location, you have to navigate a sketchy 4WD road, but for this view, it is worth it. Photo © copyright by Rob Greebon.